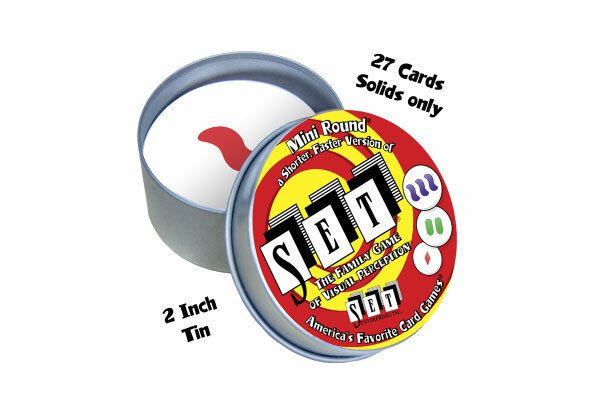 SET Mini Round is a quicker, easier version of the original award-winning game that comes in a fun 2-inch tin. Each round card has three features: color, shape and number. Race to find the most SETs! SET is challenging, fast and fun; there are no turns and no luck. Be the one with the most SETs at the end of the game and you win! SET is a game of fast-thinking fun! It’s perfect for on-the-go since any surface becomes your board. Take it with you anywhere and turn “wait time” into game time!